Sports journalist James Horncastle believes Maurizio Sarri is the cause of the Blues current situation in the Premier League. The Blues dropped points against Southampton in the opening match of the 2019 football year, and have struggled to score in back to back homes games against Leicester City and the Saints. The Blues current trailed league leaders 10 points and are in danger of missing top four due to the intense chase from both Manchester United and Arsenal. 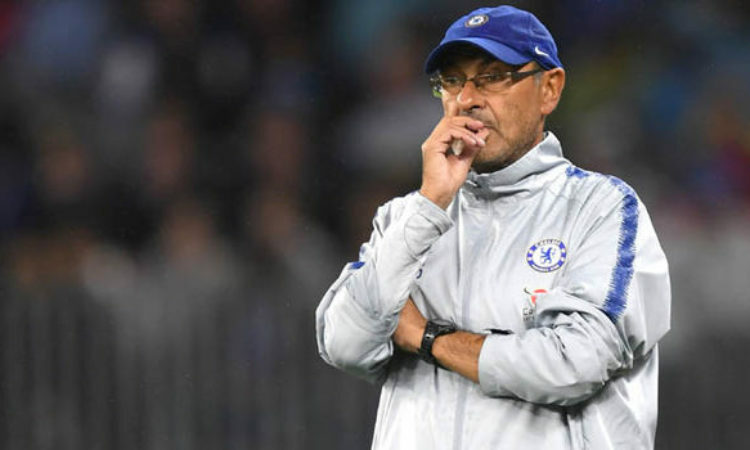 “My question mark about Sarri would be the lack of rotation at this period of the season, which is more much intensive than it was in Italy when he was even then accused that his lack of rotation slowed the team down,” he told The Totally Football Show. “They had periods where, they weren’t burned out, but they were on a very low flame and I think that might end up coming to cost them. “Let’s not forget as well, he was complaining about he has no time with the players to train them. That’s been the story of his time at Chelsea. “He got there, [Antonio] Conte took the first two weeks of training, as soon as he arrived he was jetting off with the team, having to scramble together in the transfer window. Wednesday’s 0-0 draw at home to Southampton proved a frustrating evening for Chelsea, who failed to make 72 per cent possession of the ball count.